New (1) from $39.85 & FREE shipping. 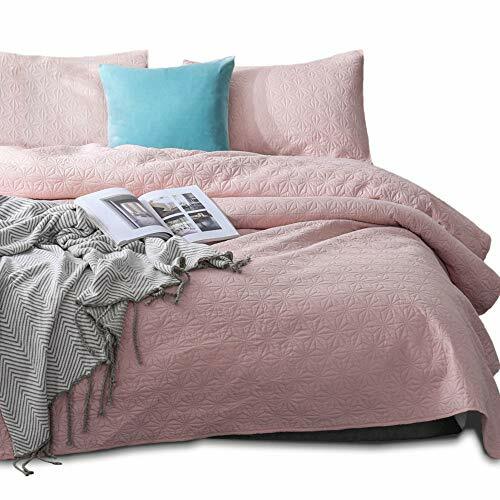 Create a cozy atmosphere in your bedroom with this reversible 3pc bedspread set. 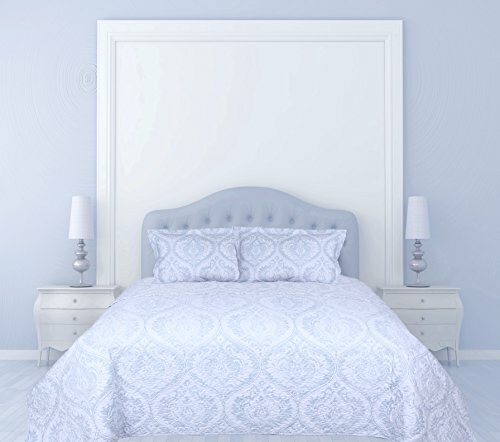 Queen set includes one 86x86'' bedspread and two pillow shams 20x26'' each. 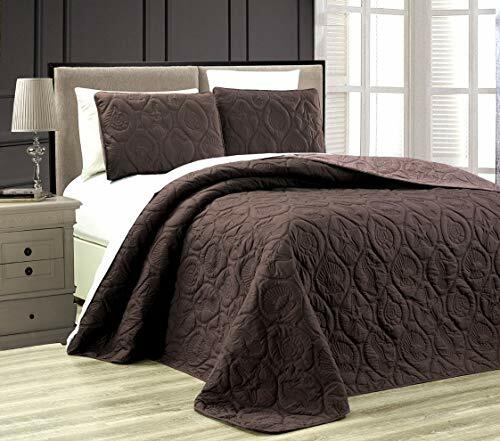 King set includes one 102x86'' bedspread and two 20x36'' pillow shams. fabric-100 percent polyester, filling-50 percent cotton, 50 percent polyester.